Have you guys got it yet? 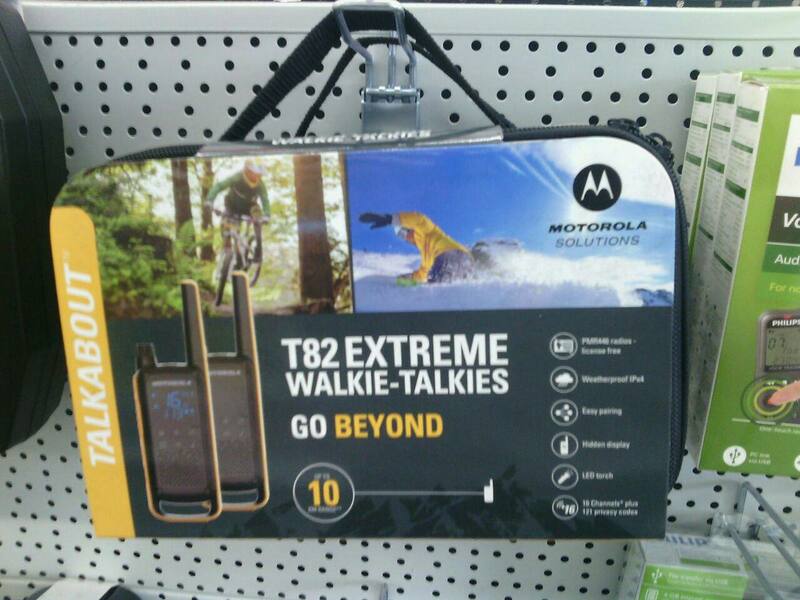 Since the new year legislation has approved of 8 more channels, and Motorola has been preparing for this well in advance with 16 channel radios to release right in the exact moment its legal. 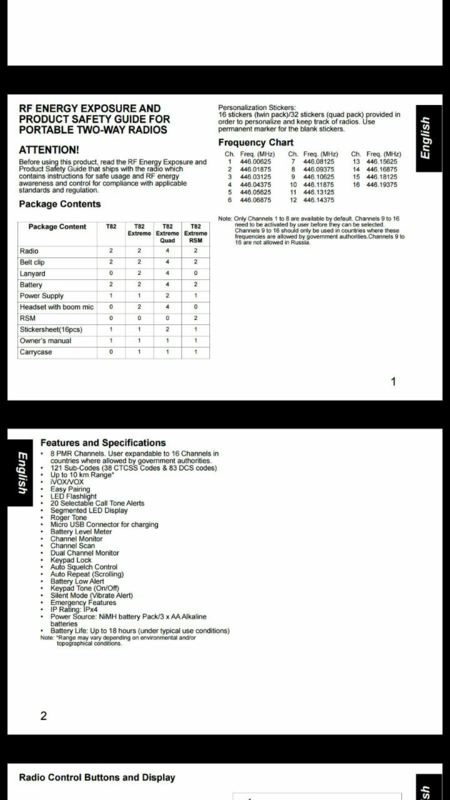 Our dream of 16 channel PMR CB channels has finally come true! Interesting! Do you know if the new channels are being allowed to be used from different dates in different countries? Or is it an EU wide thing and everyone gets them on the same date? 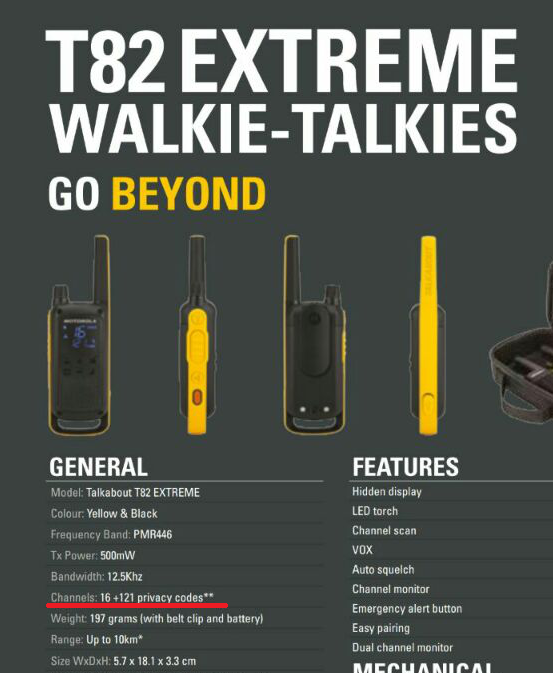 And by the way, the new T82-Extreme is such a good radio. It's a leisure-grade PMR446 radio so don't expect amazing range. But it's by far one of the highest-end leisure radios and amazingly rugged for the money!